NineTai Audio Engineering Company was founded in year 2006 at New Taipei City, Taiwan. 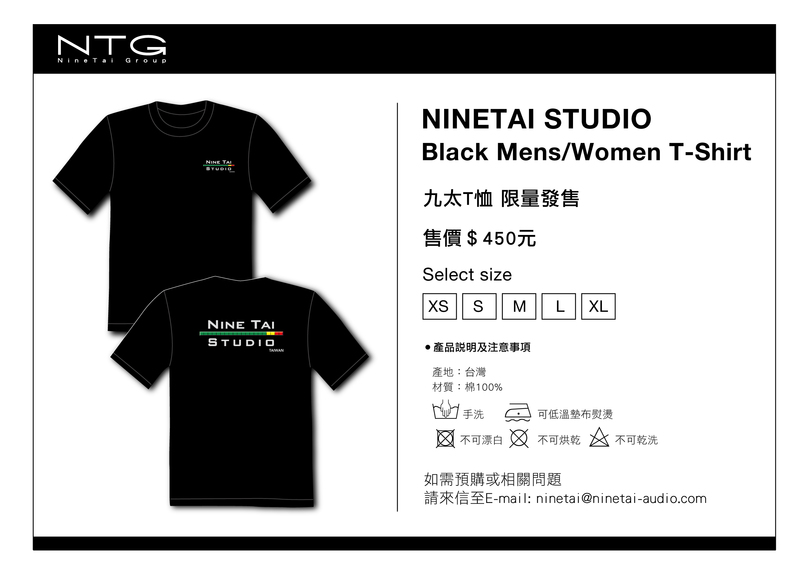 NineTai Studio was founded in May, 2013.
Business items including: Large professional live rehearsal studio, Online live concert space,Multi-Track live recording studio, HD high-definition multi-camera filming, Musicalproduction live recording filming. Prepared to meet the needs of large scale professional rehearsal, recording studio NineTai Studio become the largest versatile studio in Taiwan. Nine Tai research and development center (NINE TAI R & D) research and compile the latest product information, audio system theory and industry trend from worldwide, providing professional, advanced training courses for internal and external engineers, we spare no effort for educating new generation talents of audio industry. NTG group special departments is「 A VITA 」 . freshness of food , hand-make Desserts, suit every individual's palate. The engineers of NineTai Audio who have solid foundation on knowledge and skill, and constantly improve the technology to adapt the progress of the whole industry. We build the quality on our professional. Uphold conscientious and responsible attitude, not just well accomplished customer's trust, but fulfill with exceeding every customer expectation. Perfection providing has become our major task of NineTai group.